The basic condition that the immigrant investors need to fulfill is that they should invest a minimum of $1 million dollars and their investment should create at least 10 jobs over a period of two years. However, the minimum investment amount is only $500,000 ($500,000.00 minimum investment amount is extended and approved up until September 30, 2018) in the case where the investment is made in a Targeted Employment Area. A Targeted Employment Area (TEA) is one where the unemployment rate is at least 150 percent of the US national average and the area where jobs are being created, must also be in a metropolitan statistical location / country that has a population of 20,000 residents or more. In the direct method, money is directly invested into the business enterprise and not through an intermediary. The minimum amount you need to invest is $1 million dollars and if the investment goes into a Targeted Employment Area the minimum investment required is just $500,000 ($500,000.00 minimum investment amount is extended and approved up until September 30, 2018). Under the direct method, an individual faces a higher burden of evidence. He needs to convince the USCIS that the investment in the business will create 10 full-time jobs for qualifying employees. Any indirect jobs that may be created would not be considered. Jobs created within the commercial enterprise for qualified employees are only classified as direct jobs. Hence, any jobs that may be created collaterally because of the business the investor is carrying out may not be considered. 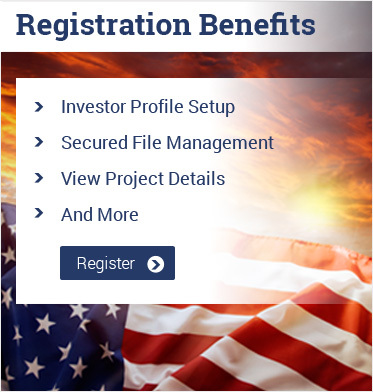 The USCIS has set aside 3000 visas for those aspiring immigrant investors who are open to investing in specific regions through a regional center. About 90 to 95 percent of immigrant investors who make EB-5 applications intend to invest through a Regional Center. The basic requirements that needs to be taken care of remains the same whether you invest through a regional center or make a direct investment. You need to invest a minimum of $1 million dollars and if it is a Targeted Employment Area the minimum amount is just $500,000. The only difference is in the burden and hassles involved while making a direct investment, as compared to investing through a regional center. As most regional centers are located in a Targeted Employment Area, it is likely that the minimum amount you need to invest will be just $500,000. Besides, a regional center is pre-authorized by the government to promote growth, so no investigation and analysis is needed to verify if a new commercial enterprise created is in accordance with the rules and whether the job creation requirement is met. Which One to Choose – Direct Investment or Regional Center? It is quite evident that if an investment is made through a regional center, the application and approval process is less burdensome. But investing through a regional center may not appeal to all potential immigrant investors, especially those who seek to have more active control over their investments. If a potential immigrant investor is serious about starting his own business or expanding an existing one, it is better to use the direct method. Besides, most regional centers are located in a Targeted Employment Area; so it is likely that these may not appeal to the potential investors as the right destination for initiating a business or expanding an existing one. Rather, an investor would desire that he makes an investment in an area that is economically prosperous. Naturally, this would make it easier for him to establish and grow his business venture so that he earns a higher return on his investment. However, apart from business motivation, the investor should carefully assess his position in being able to create desired employment while seeking a direct investment. If there is some doubt on your ability to create the desired direct employment be sure to consider the regional center route too which has a lower employment hurdle. For investment made through a USCIS approved regional center, both direct and indirect jobs will be considered for approval. The application process is much smoother and simpler. The investor need not spend time and energy in building up his own business, as he can invest in existing government approved economic units. The role of potential immigrant investor in running and managing the business is minimal. Hence, he can seek to settle in any part of the US without being bothered about the day-to-day activities of the economic unit in which his investments have been made. Since most regional centers are located in Targeted Employment Area (TEA), the minimum amount of capital that needs to be invested is significantly lower.